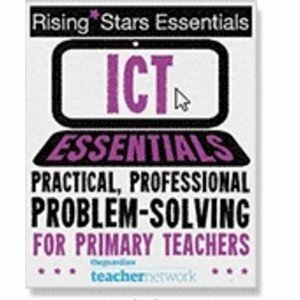 Now with less than two weeks to go, I am very excited to be attending Rethinking ICT. I’m not sure what I will get from it, but that is part of the excitement. I know that I am talking for 10minutes on my thoughts about ICT and this changes every day. I keep thinking I have it sorted and then something comes along and changes my mind a little. I’m hoping that whatever I say will be useful and relevant to the other people attending.There are quite a few very important people going and I still just consider myself as a primary school teacher that has been a bit lucky. One thing that people need to remember is that there are thousands of teachers not attending, not on Twitter, not finding the exciting resources we do every day and it is these people that I am most interested in reaching. It’s a shame that I can’t take children with me, but I will be trying to capture their views about our ICT curriculum and what they like about it and what they would improve. I think they like it, but we’ll see! I’m also hosting a discussion in a room about badges and ICT assessment. I’ve made a mini breakthrough in this area and found another teacher who wants to try this too so we are going to work together to come up with a plan of action before September. The third aspect of my day is the question-time style panel where I’ll be sharing the stage with people like Miles Berry as we answer questions from the audience. I’m not sure why/how I said yes to this, but somehow I’ve been signed up. Maybe I need to learn to say “no” more often? I’m sure it’ll be fine. Miles will look after me. All in all it will be a fantastic day and I can’t wait to see what comes from it. Will Gove be listening? No. But who cares. I have a plan for my school and I think that I am right with the way I am pushing it forward. I really hope the day proves to be exciting and inspirational but I completely agree with your point that the people who really should be attending are those who don’t use Twitter or blog etc and one of the biggest questions that I hope will be discussed at RethinkingICT is how to we share the enthusiasm and expertise that teachers such as yourself have so that more and more schools (and most importantly, the children) can benefit.